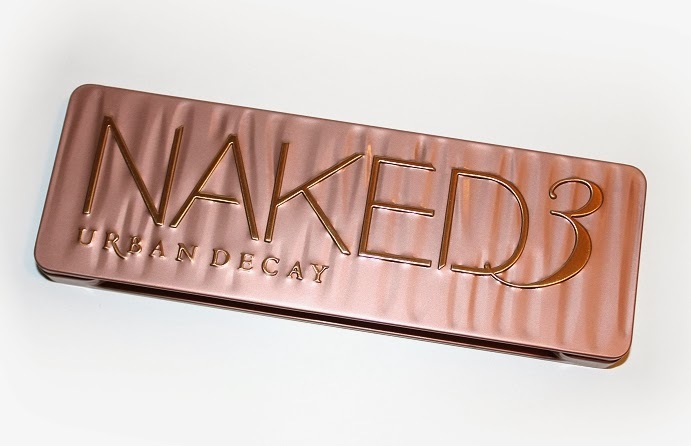 I was fortunate enough to pick up Urban Decay's new palette, Naked 3 during my local Sephora stores pre-sale release last night. It was advertised online, via e-mail and in stores to show up anywhere from 9 - 10PM for an early release of the palette! 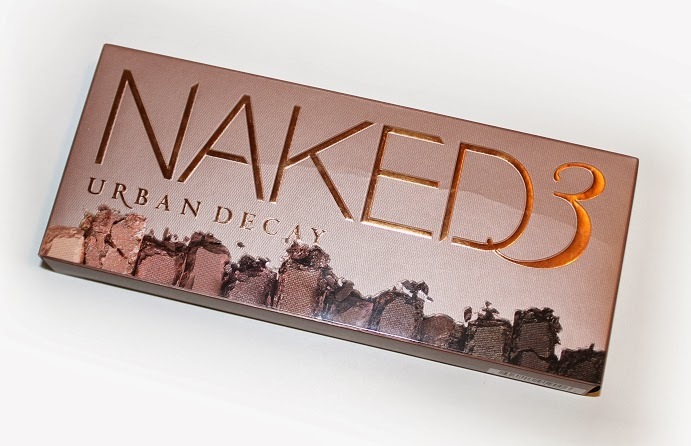 NAKED 3 retails for $52 USD ($62 CAD) and includes 1 double-ended crease and shadow brush, 4 Urban Decay Primer Potion samples (0.025 oz.) and 12 Urban Decay Naked 3 Shadows (0.05 oz) which are all "never-before-seen rose-hued neutrals." * Strange is described as a pale neutral pink. 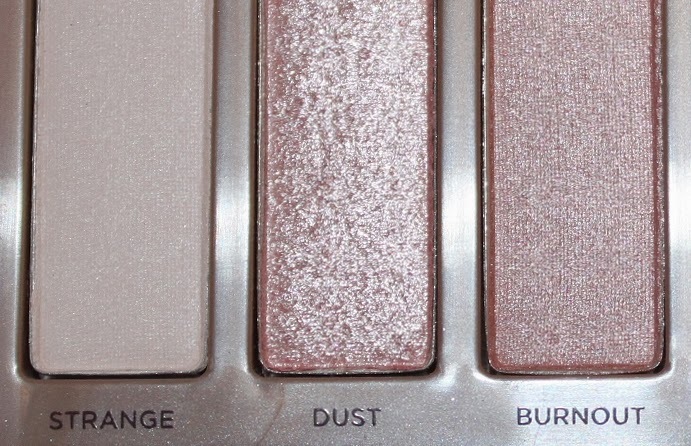 * Dust is described as a pale metallic pink shimmer w/ iridescent micro-glitter. * Burnout is described as a light pinky-peach. * Limit is described as a light dusty rose. * Buzz is described as a metallic rose shimmer w/ silver micro-glitter. * Trick is described as a light metallic pinky-copper shimmer w/ tonal micro-sparkle. * Nooner is described as a medium pinky-brown. 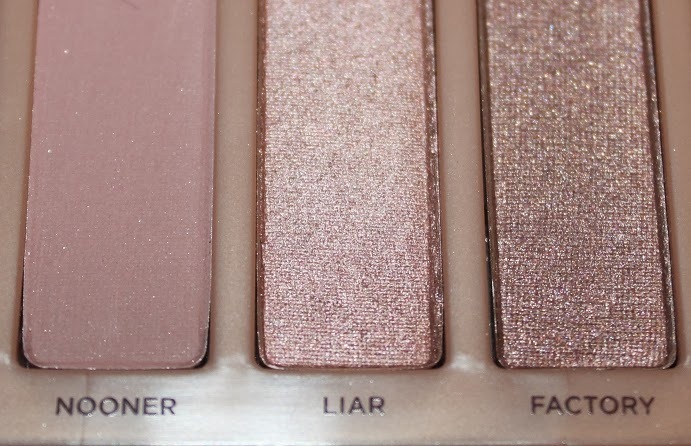 * Liar is described as a medium metallic mauve shimmer. * Factory is described as a pinky-brown. 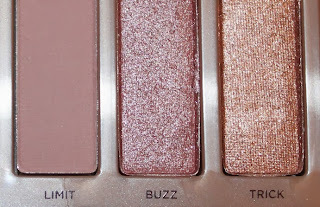 * Mugshot is described as a metallic taupe shimmer w/ slight pink shift. * Darkside is described as a deep taupe-mauve. * Blackheart is described as a smoky black matte w/ rosy red micro-sparkle. 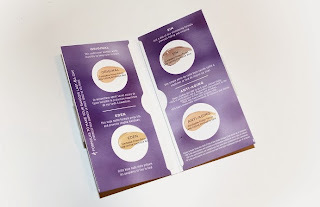 The Urban Decay Primer Potion samples (in Original, Eden, Sin and Anti-aging) are rather generous portions. You'll definitely get more than one use out of each. The double-ended brush is great, soft and well-made. I appreciate that the Naked 3 brush is slightly different than the Naked 2 brush. Naked 2 featured a typical domed crease brush, where this palette has a larger, flatter all-over-shadow crease brush. The packaging for the palette is gorgeous. The box/sleeve it comes in is just as nice as the palette itself. 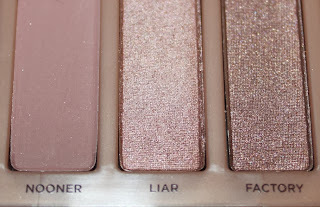 My favorite feature is the shadow pans pictured on the front and back with each shade name. 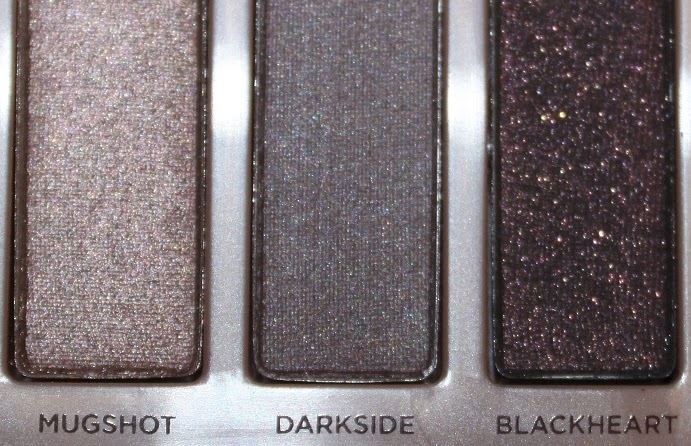 I like that they're actual pictures of the shadows, not just swatches that mimic what the color should be. The compact is metal and features a mirror just like Naked 2, the only difference is Naked 3 has a texture to the front and back of the compact. 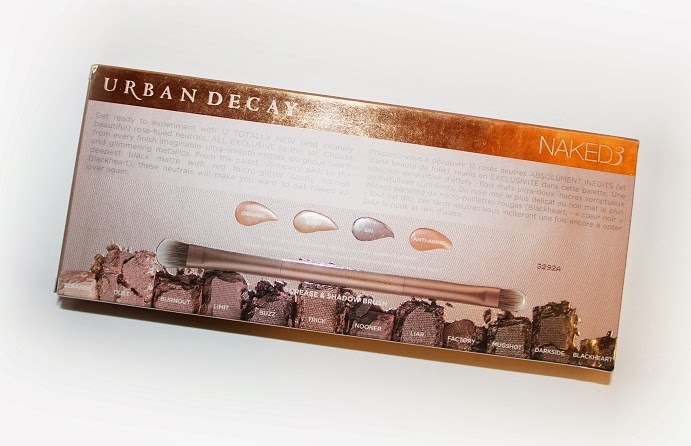 The product itself is what you would expect from Urban Decay. The shadows are soft, smooth, pigmented and buttery. 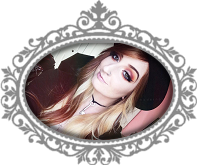 They don't crease, especially paired with a shadow primer and they're blendable, both with each other and other brands of eye shadows. The color payoff is great, regardless of finish and texture, and with little to no fall out, even for those more shimmery/glitter shades. 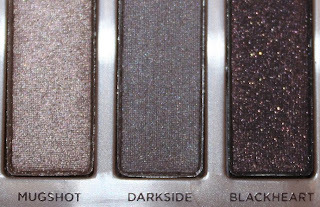 All 12 shadows are great, although some shades like Dust or Nooner can seem a little powdery and loose but it's nothing to be concerned about -- it's minimal. Blackheart the micro-sparkle is visible once applied to the lid, however a sticky base would give you the best pay off. I have absolutely no complaints or negative things to say about the Urban Decay Naked 3 palette. 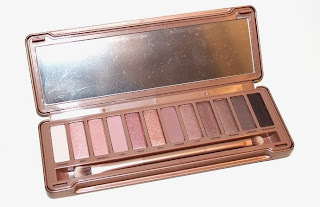 Overall, Urban Decay eye shadows are one of my favorite and I highly recommend any of the Naked palettes. If you own the original Naked or Naked 2, definitely pick this one up too. 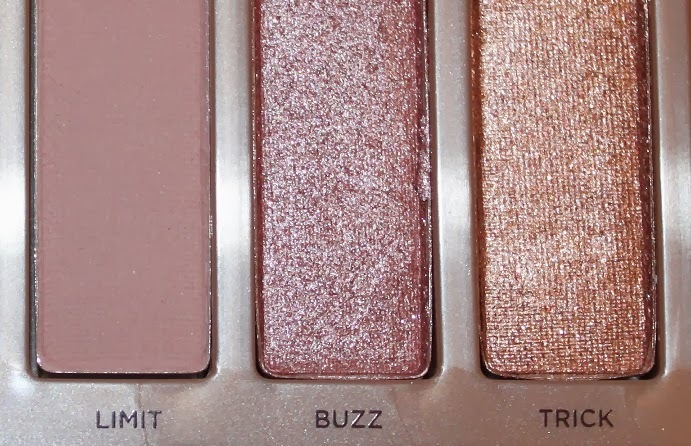 If you're new to the palettes though, I would consider which of the three palettes suit you best. Starting off with the one that is best for you will make your experience with the others that much better -- promise! Can be purchased from Sephora Online, Sephora Stores and Urban Decay website.